You can easily make transfers across bank accounts online, view your grade report, and even buy those cozy winter boots that you’ve been dying to have. Why should healthcare be any different? Fortunately, Georgia Tech’s Data Interoperability and Integration Innovation Lab shares this mission. They have helped bring our antiquated healthcare system out of the age of endless paperwork and into an entirely new arena, the digital one. 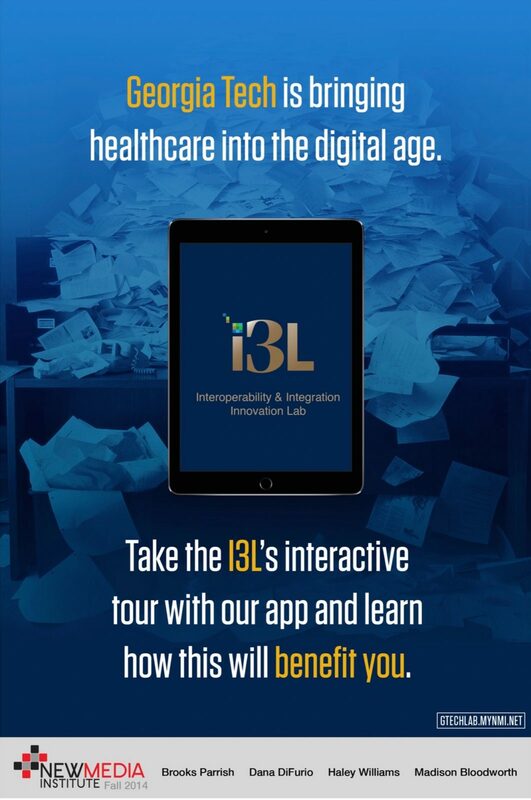 Our team, from the New Media Institute at the University of Georgia, is designing and developing a user experience that explains healthcare data interoperability to a host of clients, legislators, students, professionals and any other individual interested in the I3L’s groundbreaking work. We plan to transform their current lab space in Atlanta into an eye-catching and engrossing user experience customizable to the specific client. With four stations mimicking a home environment, a hospital, a doctor’s office and an analyst’s office, users will move through the space seamlessly by following guided directions on a tablet. Our easy to use native iPad application will allow the client to choose between two personas, a patient with breast cancer and another with diabetes and hypertension. To create a more immersive experience beyond the iPad, we will be using Wi-Fi to connect the tablets to televisions that will play short videos pertaining to each persona that inform and prompt users on what to do next. Once the simulation ends, users will have made it through all four stations with a better understanding of the benefits of digital healthcare data and the interactions between different platforms. Specifically, in the analysts office, users will be able to see how collecting big data from the platforms can be used to educate healthcare professionals to not only provide better service but to make things more cost-efficient. The Interoperability and Integration Innovation Lab’s mission is to play a part in propelling the future of Health IT to a heightened level of healthcare through the use of technology. 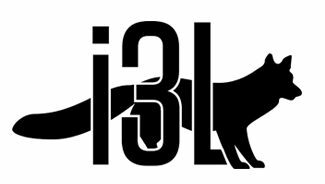 The I3L is globally beneficial because it allows access to the Georgia Tech Health Cloud and provides a worldwide “suite” of open source and commercial resources. These resources serve to aid Health IT professionals in more efficiently bringing different products and services to the market.